It’s one of the most popular elective procedures in the world. Laser eye surgery, or Lasik, as it’s more commonly known, offers enhanced vision in minutes and a life free from glasses and contact lenses. But a W5 investigation uncovered a small but increasingly vocal group of patients who claim they developed a very rare complication after surgery that left them in chronic pain, unable to work and even contemplating suicide. Hussein Jenkins’ ordeal began four years ago when he decided to get laser surgery to correct his nearsightedness. 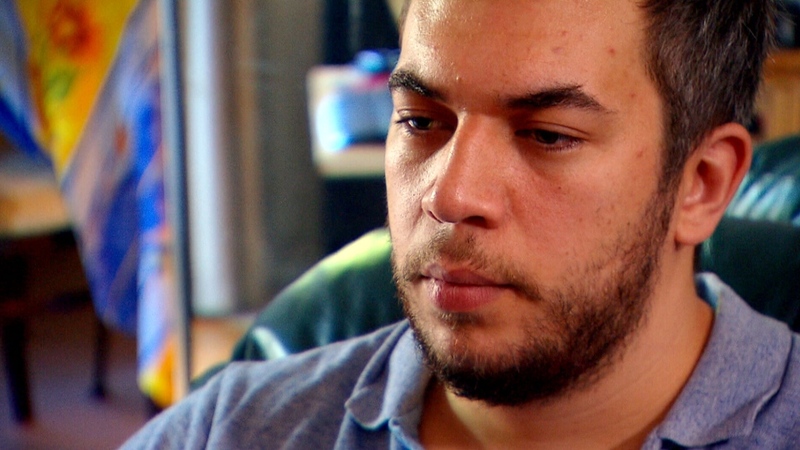 Immediately after his procedure in Vancouver, Hussein knew something was very wrong. “I was getting visual issues, ghosting, halos, starburst,” the 40-year-old said in an interview from his family’s home in Calgary. He says an attempt to fix the problem with another laser procedure—a treatment his doctor described as an “enhancement”—made his vision worse and left him with debilitating pain. “It felt like a head injury, it felt like shrapnel. It’s every day from the time I wake up and open my eyes, all day every day,” he said, breaking down in tears. He says his feelings of despair and hopelessness made him want to end his life. 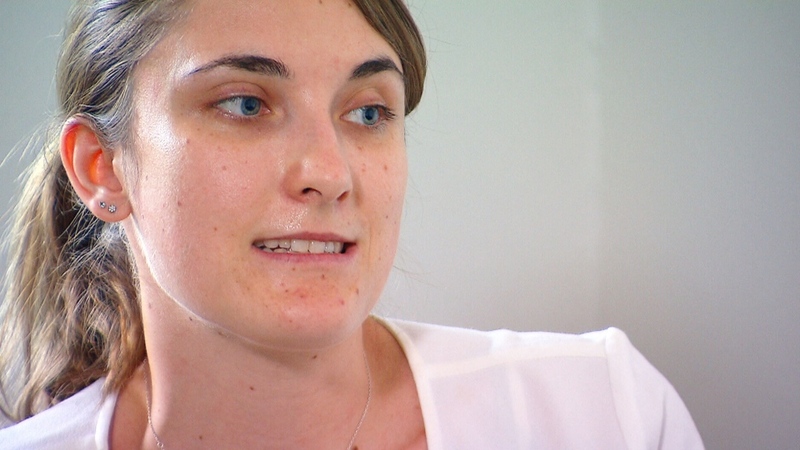 It is a similar story for 25-year-old Gwendoline Prudhomme from Montreal. She developed a “shooting, stabbing pain” in her eyes one year after her Lasik procedure in Vancouver in 2016. When eye doctors examined her eyes they concluded they were normal and told her problems were in her head. “I have seen over 20 ophthalmologists. (They) could not explain why I was in so much pain. I got very depressed and suicidal at one point,” she said. Meanwhile, Christopher Ouellet, who also lives in Montreal, cannot look at a screen for more than a few minutes because of a burning sensation in his eyes after his procedure in 2015. He has given up his work as accountant. “Accounting work is on a computer, I can’t do that. My diploma is good for the trash,” he said. Often, they are diagnosed with dry eyes syndrome, a known post-operative complication of laser surgery that typically resolves within six months. Twenty-seven year old Max Cronin had Lasik twice—once before heading off with the U.S military in Iraq. The second procedure was an "enhancement" he had before returning to school in Texas to become an engineer. That’s when he developed what his doctors labelled dry eye, said his mother Nancy Burleson, a physician in Texas. Eventually, Max had to quit school, couldn’t drive and couldn’t get a job. “He was financially devastated,” said Burleson. The day after his 27th birthday, Max went to a state park in Texas and took his own life. Burleson has been on a mission to learn more about the procedure that caused her son so much pain. Ophthalmologist and cornea specialist Dr. Pedram Hamrah sees patients at his clinic at Tufts Medical Center in Boston from all over the world—many are suicidal and desperate for answers. They have eye pain caused by injury, illness and surgery. Some develop it after cataract surgery. 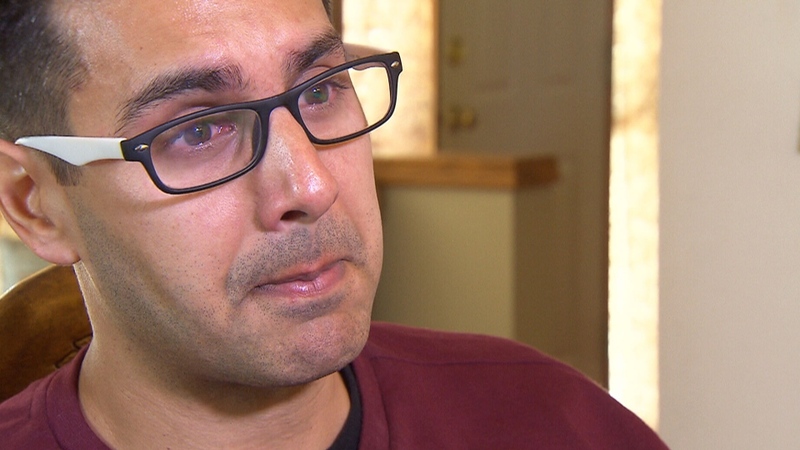 About 20 per cent of his patients are post-Lasik. Dr. Hamrah says in some cases, what’s dismissed as dry eye, is in fact a condition called corneal neuralgia—severe pain caused by damaged nerves in the cornea. The condition is often missed because the diagnostic tools that doctors have used for over a century are ill-equipped to uncover the problem. Historically, doctors have relied on a slit lamp, a device which shines an intense light directly into the eye, and a standard microscope to detect abnormalities, he said. “But in patients with corneal neuralgia, the corneas can look normal or mildly dry and the vision of the patients is typically 20/20 so there is nothing to put your finger on,” he said. When Dr. Hamrah’s team used a high-powered in-vivo confocal microscope to get high resolution images of corneal nerves, they made a startling discovery. “When we started looking at these patients who had eye pain, we found that every single patient who has this also shows these nerve abnormalities,” he said. Often nerves endings were truncated or resembled a tangled ball of yarn. “These abnormal nerves fire without reason and this firing causing discomfort or pain in these patients and these nerves become hypersensitive and these patients become super sensitive to all normal things,” he said. Dr. Hamrah published his findings, including this study in 2015. When doctors perform vision correction procedures like Lasik (short for laser-assisted in situ keratomileusis), they use a laser to cut a flap in the cornea, the clear dome rich with nerves which covers the eye. A second laser reshapes the corneal tissue so light focuses correctly onto the retina at the back of the eye, improving vision and eliminating the need for glasses. Once the procedure is complete, the flap is put back in place to heal. Research suggests the majority of the time, the process goes well. In fact, a recent study says 96 per cent of patients are satisfied with the surgery—with world class athletes like Tiger Woods and Rory McIlroy happy customers. The procedure is also approved for use among Top Gun pilots, astronauts, and people in the military. But many questions remain. Doctors still don’t know why some people have excellent results following laser eye surgery and others develop this life altering complications. “There is an urgency to find out why a certain percentage of patients are getting this, and what is an actual risk factor for patients,” said Dr. Hamrah. 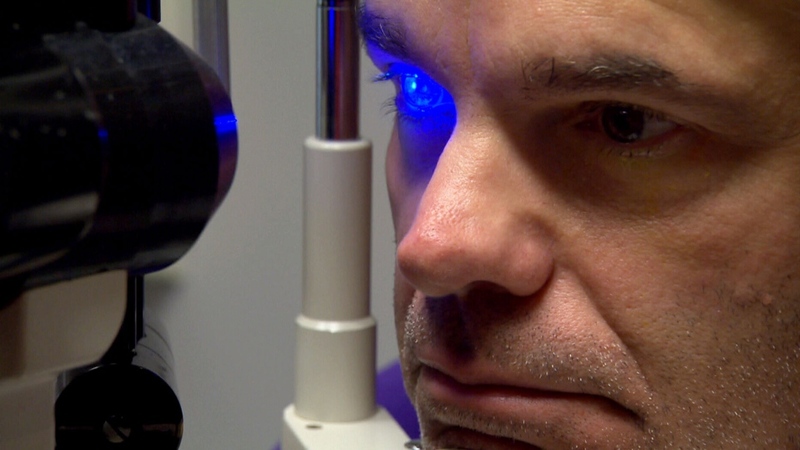 But Dr. Guillermo Rocha, who has been doing laser correction for 25 years and is past president of the Canadian Ophthalmological Society, insists persistent pain after surgery is very rare, affecting one in 10,000 patients. “It is a very rare complication. It exists, it is real, at this point there is not a clear understanding,” he said from his clinic in Brandon, Man. “There are researchers in the United States who have performed 16,000, 17,000 cases and have only seen two cases of corneal neuralgia. In my practice, and I have been performing laser surgery since 1995, I have never seen a case of corneal neuralgia,” said Dr. Rocha. He stressed that more than 7,000 studies confirm Lasik is safe, with over 63 million procedures performed around the world since 1991. “The success rate is over 99 per cent with the risk of complications less than one per cent. So it really has stood the test of time,” he said. Dr. Hamrah agrees corneal neuralgia is uncommon, but says only a study will uncover the number of patients who actually have the condition and how many may have been misclassified with dry eye syndrome. “In terms of the percentage, we don’t have any data whatsoever because there was not a single study done to look. The problem is, we were not able to identify the disease. So without having anything to diagnose the patient we can’t even get numbers of how frequent it is,” he said. Dr. Hamrah is planning a study of 1,000 patients with eye pain from injury, disease and procedures like Lasik and cataract surgery to uncover the prevalence of this problem. It is welcome news for many patients who believe the number of neuralgia cases may be higher than reported. Christopher joined Lasik Complications, an online support group with more than 6000 members. It was founded by Paula Cofer in 2014 when she became an advocate after her own disastrous Lasik surgery in June 2000. She said she believes recent studies underestimate the risks of Lasik and is asking the FDA to withdraw approval of Lasik devices and wants the procedure banned. While doctors and advocates debate the true complication risk, patients say that they feel betrayed doctors never warned them that corneal neuralgia could occur. Hussein, Christopher and Gwendoline say the corneal neuralgia never appeared on their consent forms, nor did they get information about the potential life altering complications. “The (doctor) who sells the procedure downplay the risks, saying the most serious side effect or problem that could happen is dry eye for a maximum of three months which is easily treatable and all of their patients are satisfied,” said Gwendoline. However, as doctors become more aware of this problem, opinions and practices are starting to shift. 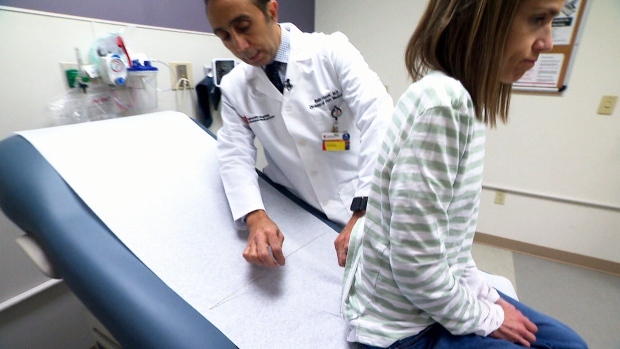 Dr. Rocha says patients should be informed of this risk—no matter how small. “Corneal neuralgia is an extremely rare condition within an extremely successful procedure such as Lasik, but because it can happen, I think it would be beneficial for both sides to have it in a consent form,” said Dr. Rocha. Meanwhile, patients who already have the condition say they are left to fend for themselves to find treatments that are experimental and costly. Some report pain relief with Gabapentin, an anti-epilepsy medication. Doctors are also fitting patients with special designed scleral lens which can cost over $4,000 per eye. They cover the entire cornea and reduce the evaporation of tears from the surface and reduce eye pain. TRUETEAR, a product approved for use last year in the U.S., costs between $700 and $1,100. It stimulates the nerves in the nasal cavity and prompts the brain to send signals to the tear gland, causing the eye to make its own tears. Gwendoline is also using PROKERA—a “bandage” contact lens made from human placenta that decreases inflammation. The treatment costs $1,200 per eye, and it is not covered by the Quebec heath care plan. Katie Enders, who has suffered from post Lasik corneal neuralgia for eight years, got relief from powerful narcotic fentanyl via a catheter threaded through her spine (W5). In Cleveland, Katie Enders, who has suffered from post Lasik corneal neuralgia for eight years, finally got relief from an implanted pain pump that delivers a local anesthetic (bupivacaine) and a tiny amount of the fentanyl into her eyes through a catheter threaded through her spine. “When they first turned on the pump I could feel immediately that it was helping. It was like a dream come true,” said Enders. The procedure, more commonly used for back and other forms of pain, was a world first for eye pain and Dr. Salim Hayek, a surgeon at the University Hospitals Ahuja Medical Centre in Ohio who published his finding, is fielding calls from other patients desperate to stop their suffering. Dr. Hamrah is producing a documentary to educate patients and other doctors about the condition and treatment options. He says patients should not lose hope. “We find that probably 90 per cent of patients get to a level where they can live their life normally. I would like to point out that the sooner we see these patients the faster they get better,” said Dr. Hamrah. Between 15-20 per cent of people are considered not eligible for Lasik like proceudres. Generally healthy free of diseases, injuries and infections. “We recognize the need to engage the wider stakeholder community and we value patient input. We are committed to ensuring that patients considering LASIK can make informed decisions based on objective information concerning the benefits and risks of the surgery. The FDA, in collaboration with the National Eye Institute and the Department of Defense, launched the LASIK Quality of Life Collaboration Project. The results of the studies conducted as part of this collaboration have demonstrated that more than 95 percent of participants were satisfied with their vision following LASIK surgery. However, importantly, of those participants with no visual symptoms before surgery, almost half reported at least one visual symptom at 3 months after surgery (most often halos). No more than 2 percent of all participants reported difficulty performing daily activities without corrective lenses due to visual symptoms (starburst, ghosting, halos, glare) after LASIK surgery. “This is precisely the type of information that patients and providers need to make informed decisions about whether LASIK is appropriate for individual patients. “As part of the Quality of Life Collaboration Project, Patient-Reported Outcomes with LASIK, or PROWL, studies were designed to fill a void that was not being addressed by any researchers in the ophthalmologic community. Their purpose was to evaluate questionnaire scales (including some newly created scales) to measure symptoms, patient satisfaction, and expectations before and following LASIK surgery. The studies did this and we have published the results in peer-reviewed publications (here and here). In the more than 500 patients studied, the development of debilitating symptoms after LASIK was uncommon. Over the last decade, via regular website updates, presentations at professional meetings and other public communications, the FDA and its partners have kept the public informed throughout the study process to reflect agency activities, progress and plans for the study. As with any area of study, more research will help further our understanding of the benefits and risks of this procedure. “The development of a scientifically rigorous and validated questionnaire was a resource-intensive and complicated task. The questionnaire can now be used to consistently assess the prevalence of visual symptoms in LASIK patients. Multiple studies and clinical sites are already utilizing the questionnaire to assess clinical outcomes in patients undergoing LASIK and we anticipate that most future studies submitted to support marketing approval of LASIK devices will utilize the PROWL questionnaire (in whole or in part) to ensure that the public continues to have access to objective, useful information concerning the symptoms associated with LASIK. “The FDA reminds patients considering the LASIK procedure to thoroughly discuss the benefits and risks of the procedure with their health care professional. The FDA has made a significant amount of consumer-focused information available on its website about the benefits, risks and expected outcomes associated with LASIK. “Our work with LASIK is ongoing. In addition to transparently communicating the results of the PROWL studies as described above, we have incorporated the studies’ findings into our device review program. In addition, we are in the process of developing a LASIK patient labeling guidance that will provide recommendations to industry about how to clearly communicate risks of LASIK to patients. As we continue to monitor the safety and effectiveness of LASIK we will also explore additional ways that we can improve the quality of information available to the public about LASIK and ways to ensure that FDA receives better information about problems with LASIK." Health Canada is aware that corneal neuralgia is a possible complication post-LASIK. However, there have been no specific reports of corneal neuralgia associated with devices used for LASIK or for other forms of laser eye surgery used for vision correction. Neuralgia can be defined as nerve pain associated with nerve damage. Nerve damage in the cornea could occur as a consequence of LASIK surgery, and could manifest as intractable dry eye syndrome and pain. Should corneal neuralgia be included on informed consent forms? It is up to the clinician performing the procedure to ensure that the risks of any given medical procedure are adequately and clearly communicated to the patient. Health Canada does not regulate informed consent forms, as these fall under the practice of medicine (which is under the jurisdiction of provincial and territorial governments). What should Canadians do to reduce their risk of corneal neuralgia post Lasik? Health Canada has not been made aware of particular measures that a patient can take to reduce the risk of corneal neuralgia. However, scientific information in this area continues to evolve. Should clear risk reduction recommendations be established, Health Canada would work with manufacturers of LASIK devices to revise their labeling to reflect scientifically sound risk management strategies for patients. The FDA wrote that they “are in the process of developing a LASIK patient labeling guidance that will provide recommendations to industry about how to clearly communicate risks of LASIK to patients.” Will Health Canada consider doing something similar? The Canadian Medical Devices Regulations have clear labeling requirements related to risks associated with treatment using any given medical device. Health Canada is not developing a LASIK patient labeling guidance similar to the FDA’s at this time. However, the Department would request appropriate revisions should the Department or the product manufacturer find the current labeling to be inadequate. A patient of ophthalmologist and cornea specialist Dr. Pedram Hamrah at a clinic at Tufts Medical Center in Boston (W5). Gwendoline Prudhomme, 25, said she developed a “shooting, stabbing pain” in her eyes one year after her Lasik procedure in Vancouver in 2016 (W5). Christopher Ouellet says he can't look at a screen for more than a few minutes because of a burning sensation in his eyes after his procedure in 2015 (W5).